In the mythic traditions of the human species, we find widespread reports of a Great Self that dwells within the human soul. Gnosticism gives us one of the most interesting examples of this spiritual phenomenon. 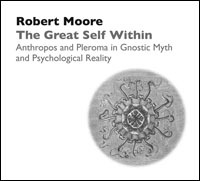 Robert Moore addresses the psychological deep structures underlying Gnostic myths of the Anthropos (the supreme divinity) and the Pleroma. Parallels with Jung's understanding of the collective unconscious and the archetypal Self are examined and discussed in terms of their clinical and spiritual significance.